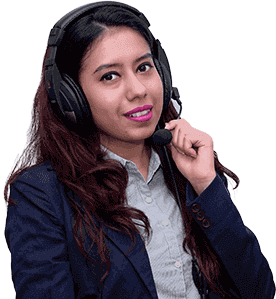 You must have noticed how certain famous MBA Colleges in India outsource the selection process of the students in their colleges to certain training and recruitment firms. These firms on payment of a fee select these students based on their CAT scores as well as group discussions and a personal interview. You must be wondering why the college does not select the students themselves. Why Hire Someone Else When You Can Do The Job Yourself? Another major area where outsourcing is done by companies is in the Payroll Processing. Many companies have very competent staff in their HR department and since employee pay packages and bonuses are linked to their performance in the Company it comes under the Human Resource function. Yet some of the Companies still outsource the payroll processing function to certain other Companies. Why Is This So? The most commonly perceived reason is the privacy factor which might affect the morale of the employees .In a similar manner investing through the mutual fund route may have its subtle benefits I would like to remind you that the team of Financial Planners at IndianMoney.com are always there for you to plan your mutual fund needs in a most effective and efficient manner. You can explore this unique Free Advisory Service just by giving a missed call on 022 6181 6111. You must be knowing that a mutual fund is a collective investment to form a pool of funds invested in an underlying security and managed by professionals such as a fund manager. The underlying security can be an equity instrument or a debt instrument and so on depending on the type of mutual fund. 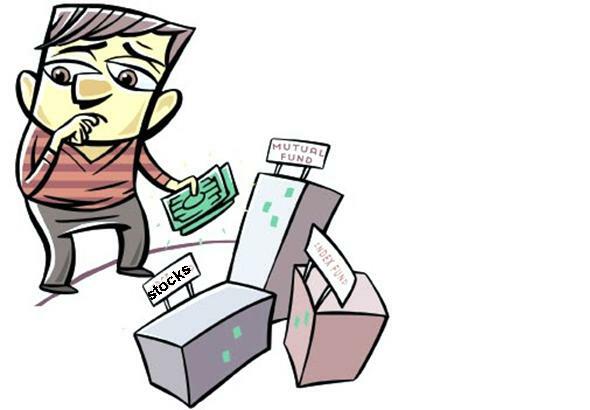 So What Is The Systematic Investment Plan? You must be knowing that you can make a regular set of investments in a mutual fund on a periodic or a timely basis. The number of units you can purchase each month depends upon the Net Asset Value of the mutual fund which fluctuates with the market. If the market is high you can get lesser number of units and if the markets are on the lower side correspondingly the number of units would go up. The SIP route inculcates a measure of discipline and helps you to accumulate shares of blue chip companies and before you know it you could be a millionaire. The SIP route helps you to accumulate 5 star rated mutual funds which would give you a Compounded Annual Growth Rate in the double digits. Surely Food For Thought. In life you must have met people of different nature. The Bold And The Brash.You must have noticed the in your face attitude of these people. Consequently there are people who stand near the edge of the pond watching other people swim and have a smashing time. You must be wondering why these people knowing how to swim do not get their feet wet. These people are generally those who think a thousand times before they enter into any venture or an adventure. In mutual fund parlance you would call such investors as Risk Averse investors. These investors would generally invest in debt or balanced mutual funds as they are more concerned on the protection of their invested capital and the upside returns for them is generally limited. What About The Bold And The Brash Investor? .He invests in Equity Diversified Mutual Funds where along with the returns the risks are also considerably higher. Similarly depending on the risk appetite of different classes of investors tailor made mutual fund products are available to suit their needs .In addition you have the growth and the dividend option where the growth option ploughs the returns back into the funds and is suitable for aggressive investors .The dividend option is very much suitable for older investors who would like a monthly pension during their retirement years. Surely There’s Something For Everyone? You must have noticed a new trend followed by banks during their recruitment and selection processes. The selection of candidates is outsourced to a HR Recruitment and Selection team and the bank staff has almost no role in the selection process. Ever Wondered Why? There is a twin benefit of having professionals who thoroughly understand their role involved in the recruitment and selection of the candidates. They are thorough professionals and do a good job. The bank manager might be just a mute spectator in the process. Another obvious benefit is the time saving factor. The bank manager might be good in the selection of the candidates but might not have the time needed to dedicate towards doing a good recruitment. Elimination of candidate bias is obviously another benefit. In a similar way you can relate the performance of your funds to the high calibre of the mutual fund manager who is a professional and knows best to invest in the stock markets. Are you always on the move? Rushing from one meeting to another meeting? Then investing in those mutual funds might be the best option for you. You might have a preference or a personal bias towards the shares of a particular Company. You must be knowing people who are biased towards certain power stocks or infrastructure stocks. That friend of yours in the IT Sector. Does he invest only in blue chip stocks of IT Companies? The investing in mutual funds certainly eliminates this bias. Let us consider that you do not have time or sufficient knowledge of the stock market. You have decided to invest in mutual funds .Your next dilemma is whether to invest in actively managed mutual funds or passively managed ones. Most of the commonly managed passive funds are those which follow an index such as the Nifty and are known as index funds. But are passively managed index funds the best choice? Globally investments in index funds which are passively managed are found to be better performers but in India actively managed funds are found to be better. This is mainly because mutual fund houses have excellent research teams and set high benchmark standards of performance. You need to have a core mainly a centre piece or the heart of your investments. About 70-80% of your mutual fund investments especially for a younger person should be in Equity Diversified Mutual Funds of Large Cap Stocks or Gold ETF’s. This should form the basis of your investments or the soul of your investments. These kind of funds are known to give double digit CAGR returns over a longer period of time. In addition to this you can invest in certain riskier segments such as Sectoral mutual funds and even mid cap mutual funds or International mutual funds. In a bull market these funds tend to give stupendously high returns. You have a twin method or an approach in order to churn or rebalance that mutual fund portfolio. You can set a fixed ratio such as 60:40 percent or a 60% investment in equity mutual funds and a 40% investment in debt mutual funds. Whenever equity mutual funds outperform the debt component the proportion changes. This results in a higher component of equity mutual funds in our portfolio. Consequently rebalancing of the portfolio is necessary in order to maintain the debt equity ratio in the same proportions which might mean purchase of additional debt mutual funds. You may follow another approach where if the proportions of your equity mutual fund rise too high due to an extremely well performing market then we sell a portion of the equity component and invest it in debt. This is a common boast you must have heard from your friends .I can never fail as I invest only in the best funds. You must be perceiving that if you invest in that fund which has outperformed the market in a particular year you would get high returns. These funds perform well mainly because they " Play With Fire ". They are extremely risky and hence generate huge returns. You need to exercise extreme caution when you invest in such type of equity diversified mutual funds. When you invest in mutual funds do care to take note of the assets under management. If you are investing in a liquid plus scheme or an index fund then very large assets under management is a good thing. Let us consider that a new emerging mutual fund which is actively managed has suddenly outperformed the market. You would find huge sums chasing such type of mutual funds .The result of this is the fund manager of this fund finds himself loaded with funds he might not be able to handle .Many a time these may be single hit funds which cannot replicate their past performance .This excess flow of funds certainly hampers the performance of such emerging mutual funds .Consequently a huge inflow of funds does not affect the passively managed mutual funds. It would be wise to track the performance of the fund manager along with the performance of the mutual fund. The track record of the mutual fund manager is sometimes more important than the performance of the mutual fund itself .New managers take time in order to understand market conditions and however good they may be they are low on experience. “Experience Is A Great Teacher” and this must never be forgotten. The new kid on the block might soon fade away or be transferred. You must be knowing that mutual funds have their entry load scrapped but retain the exit loads .If you sell that mutual fund you would be charged an amount of around 0.5% when you exit that mutual fund. You also need to make note of the total expense ratio which is the total fund costs divided by the total fund assets defined as the expense ratio as well as the Security Transaction Tax charged. The equity linked saving schemes have a 3 year lock in period and the closed ended mutual funds have a fixed or a stipulated maturity period and only then these units can be redeemed. I would like to end this article with the phrase " Take Care Of The Pennies And The Pound Will Take Care Of Itself ". This means that if you follow the right investment options there is no way you can fail but will surely triumph.